Linda is the founder and artistic director of Evergreen Theater and School. She has been a performing member of many theater companies, including New World Theater, Reality Theater, Theater Workshop Boston, Appleseed Traveling Circus, New York Free Theater, and Gut Theater of Harlem. She has been invited to perform in various festivals, and has received several awards for acting. She has authored two ensemble plays and three solo pieces. Her teaching career spans forty-seven years during which time, in addition to directing a full-time acting school, she has taught residencies at Baltimore Theater Project, Skidmore College, Naropa Institute, Smith College, Simon Fraser University, The Canadian National Voice Intensive, Women In View (Vancouver and Boston), and Mascall Dance Society, among others. She has taught workshops for a long list of theater and dance companies, and has acted as a performance coach for numerous individuals and companies. She received an MFA in Theater from New York University in 1968. She studied with Peter Kass, Lloyd Richards, Andre Gregory, Jerzy Grotowski, and Kristin Linklater, among others. 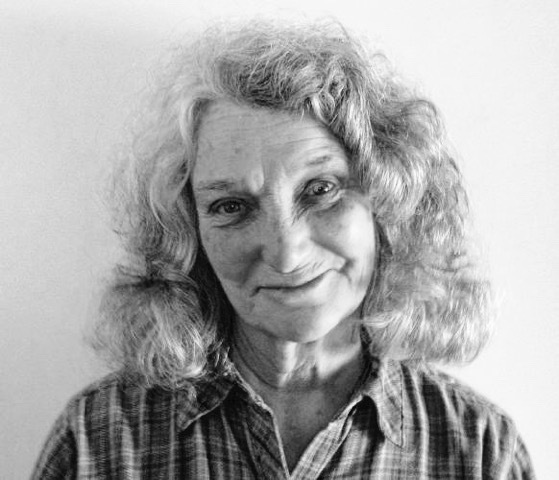 Her teaching is a blend of physical acting techniques and traditional acting methodology. Dean Fogal studied for three years in Paris with Mime master Marcel Marceau and with the originator of Corporeal (or full body) Mime, Etienne Decroux. Following his European studies he teamed up with a small number of students from both of these schools and accompanied Decroux's assistant, Thomas Leabhart, to the University of Arkansas where they set up an advanced performance and research group to further the Corporeal Mime technique, to teach it and to tour Corporeal Mime performance throughout the United States. Dean has offered ongoing training in Corporeal Mime and Physical Theatre in Vancouver since the early 80's and founded and directed Room To Move with Catherine Lee, a comprehensive movement arts studio here in the city. In 1995 Dean and director Kate Weiss opened the Tooba Physical Theatre Centre. For 15 years Tooba's unique ensemble based theatre curriculum offered a two year diploma program that included Corporeal Mime, Grotowski based Acting, Voice, Singing, Dance, Clown work, Acrobatics and Ensemble Development based on Dance and Music Therapy. In the last couple of years Dean has been doing research on the kinesphere, the conscious space around the body that travels with it as it moves, and is gathering his many volumes of teaching and directing notes into a manuscript for publication. David MacMurray Smith is an independent educator with over 40 years of professional experience in the areas of Theatre, Clown, Mime, Ballet, and Opera. He is a movement specialist and an experienced counselor whose special interest is in how memory moves and patterns itself through our bodies and how this affects our perceptions, behavior, and communication. David has drawn on his range of experience in developing his own body-centered, humanist approach to personal and professional development through creative studies in the psychology of human performance. David was Associate Director and Head Instructor at the Vancouver Playhouse Theatre School, Movement Director for the Music Theatre and Opera Programs at the Banff Centre of the Arts, and Program Director and Core Trainer for the two-year Ensemble Training Program of Full Circle: First Nations Performance. He is currently on faculty in the Douglas College Theatre Program, is a Founding Faculty member and instructor in the two year Expressive Arts Therapy Training Program through Langara College Continuing Education, is RingMaster, Director, Co-Creator, Co-Writer with the award winning James and Jamsey, and runs his own courses through, Fantastic Space Enterprises, which he founded in 1995 to assist in expanding dimensions in self knowledge and communication.